Wall mural Rain in Paris. 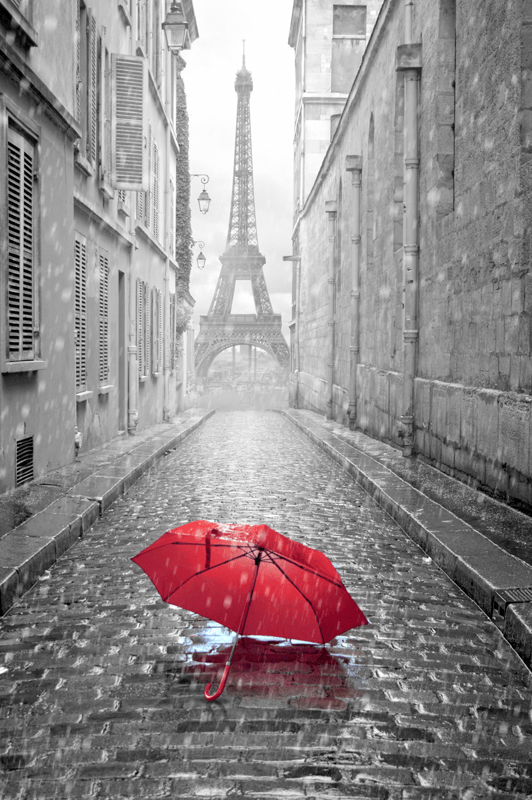 Shocking black and white photograph of a Parisian street during the rain, with a red umbrella on the floor. In the background is the majestic Eiffel Tower. 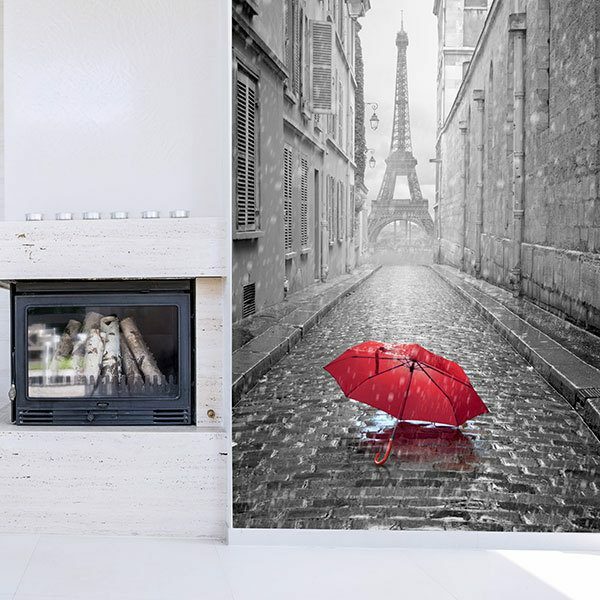 Spectacular image to decorate any wall in the bedroom, living room or even to beautify the hall. 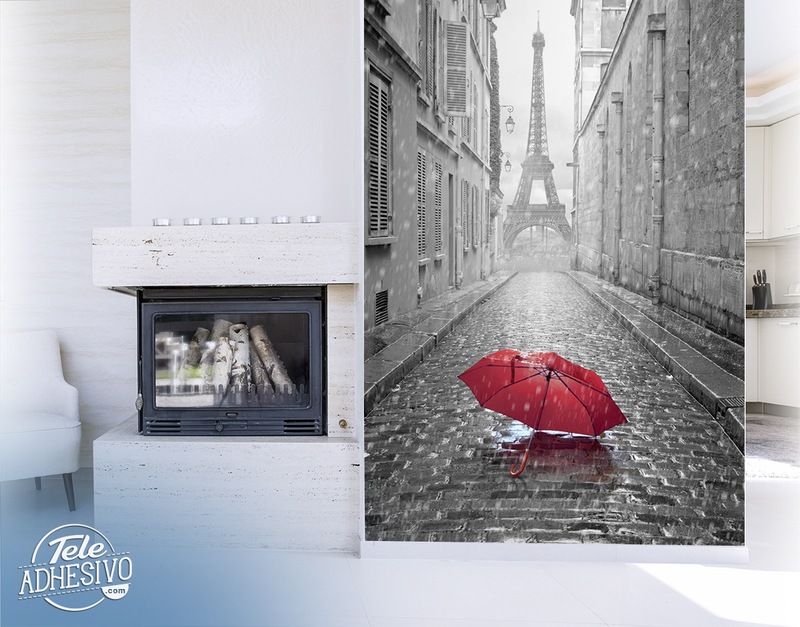 Size: 98 x 39 cm.